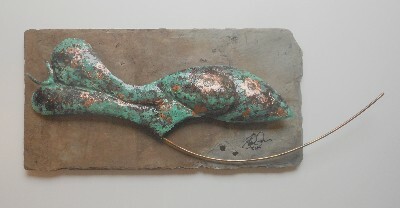 Stylized copper patina sculpture mounted on reclaimed slate. 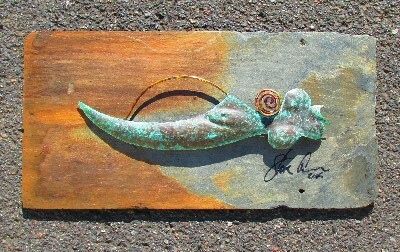 Stylized etched copper patina mounted on reclaimed slate. 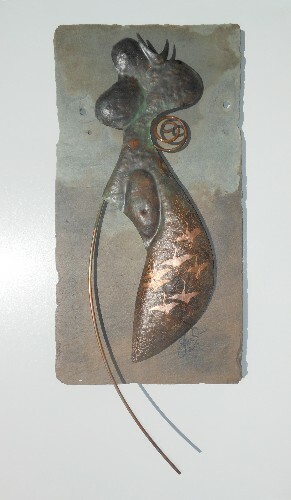 Stylized copper sculpture on handmade faux stone base. 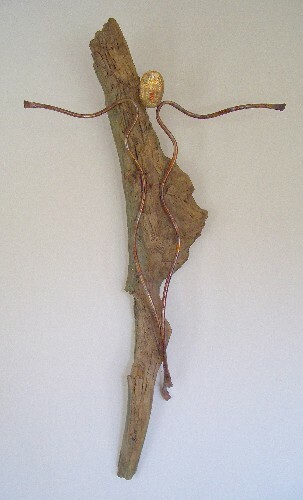 Stylized copper crucifix mounted on wooden base. 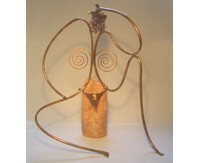 All pieces are different and made as special orders. 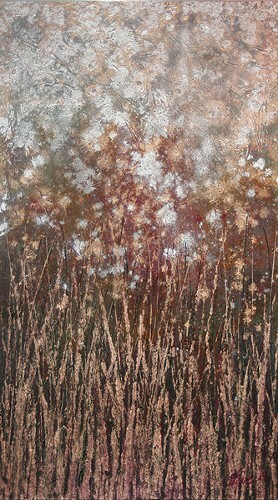 Currently have 3 similar pieces. 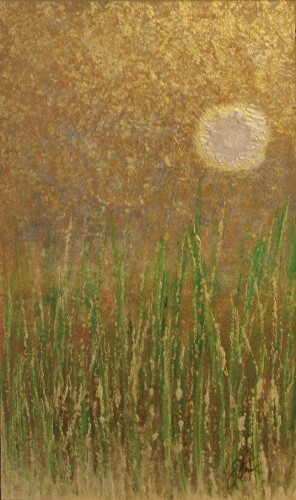 Field of dandelions on board.